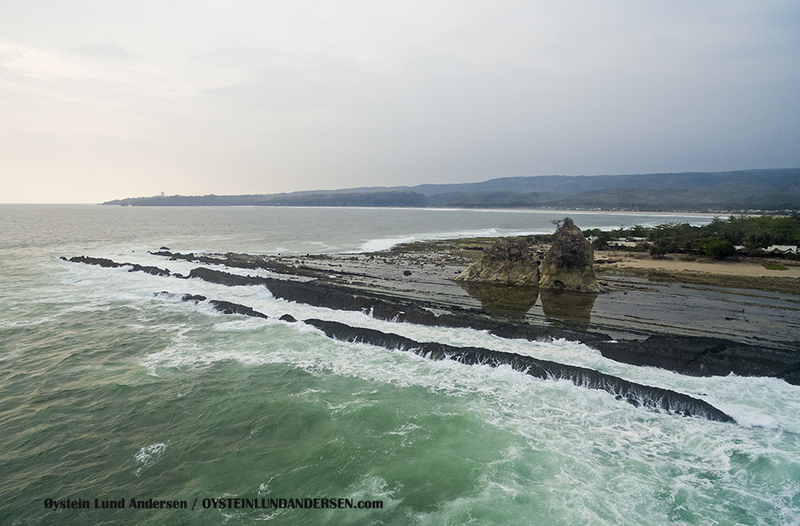 Sawarna beach is located on shores of South-west Java, West of the town of Pelabuhan Ratu. 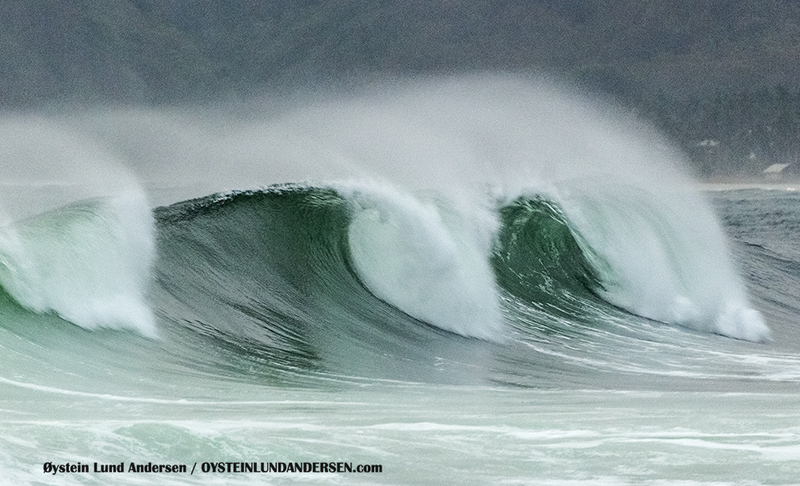 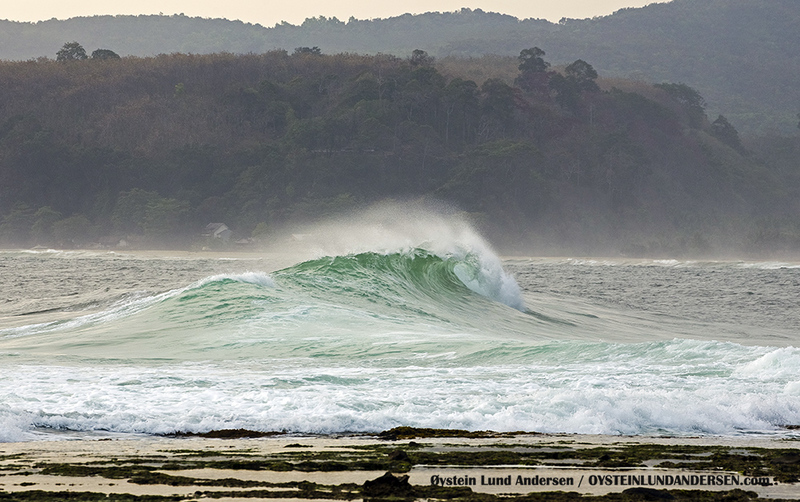 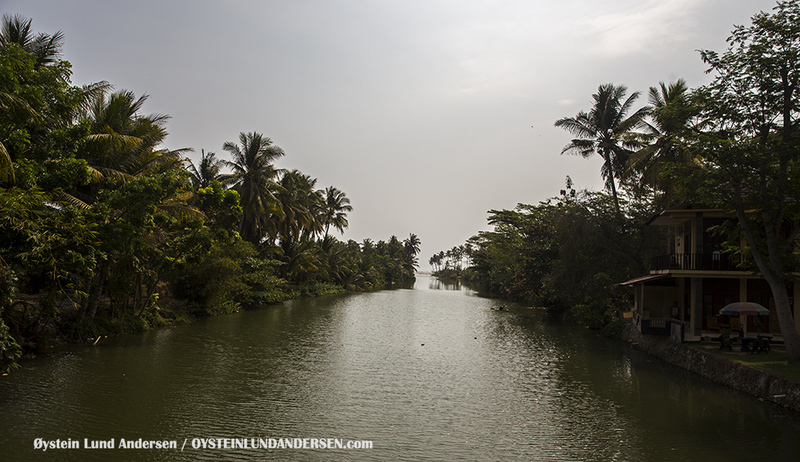 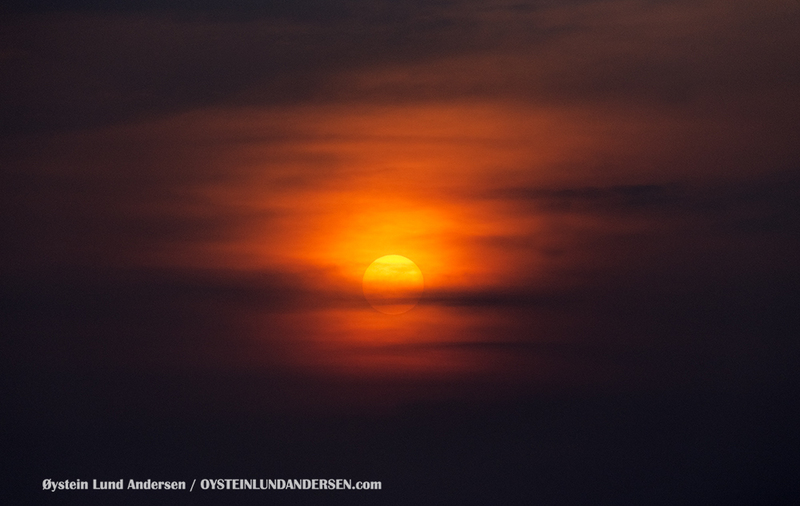 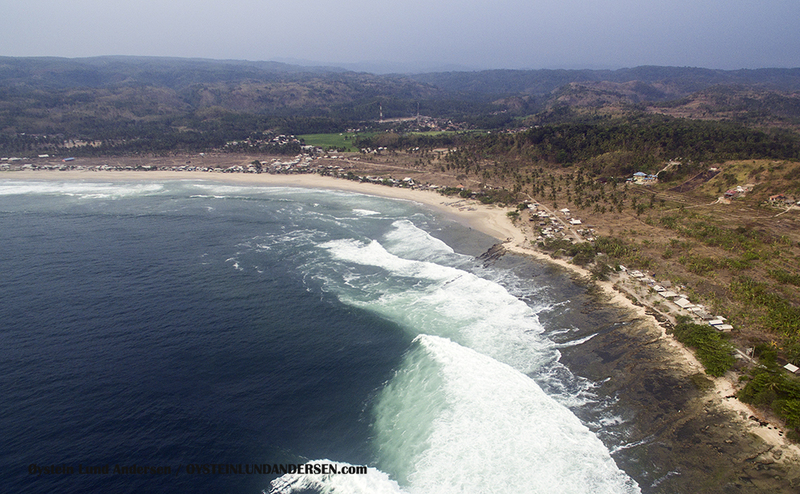 The area has pristine beaches and a good surf. 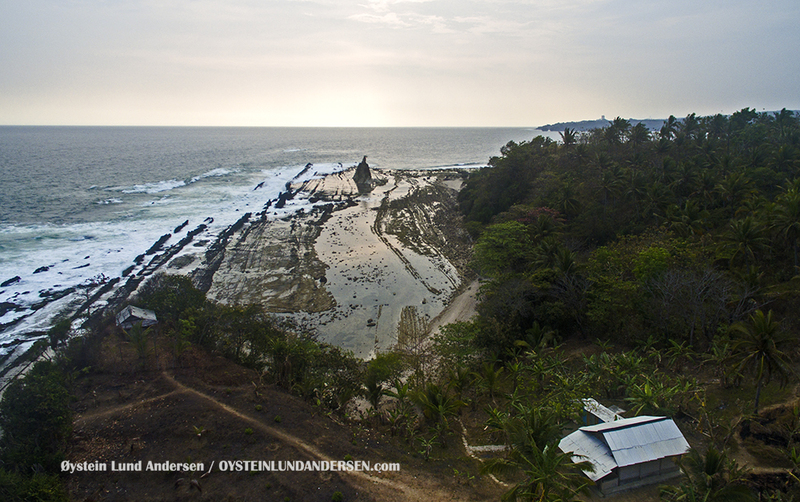 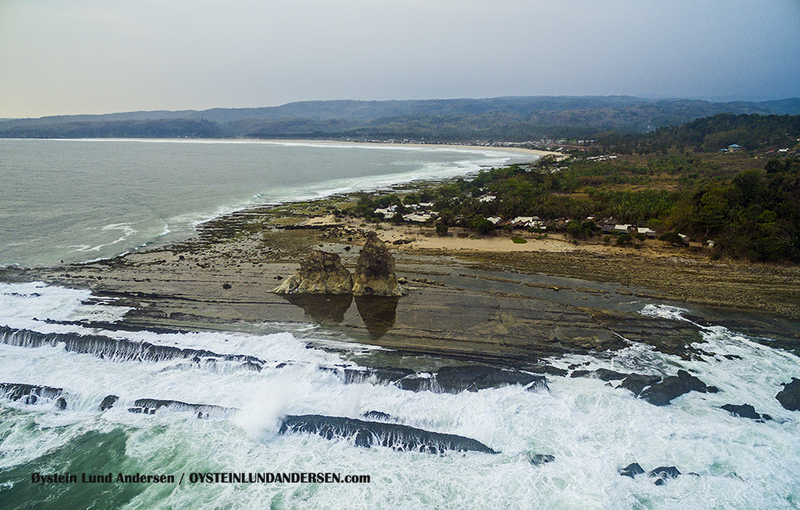 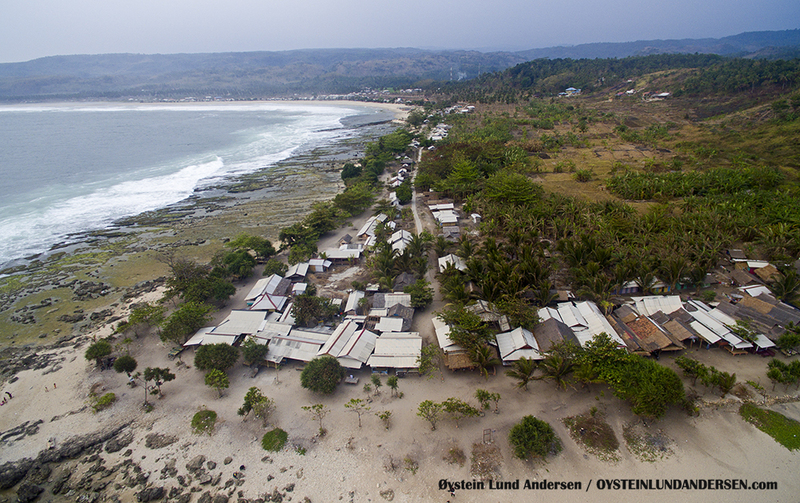 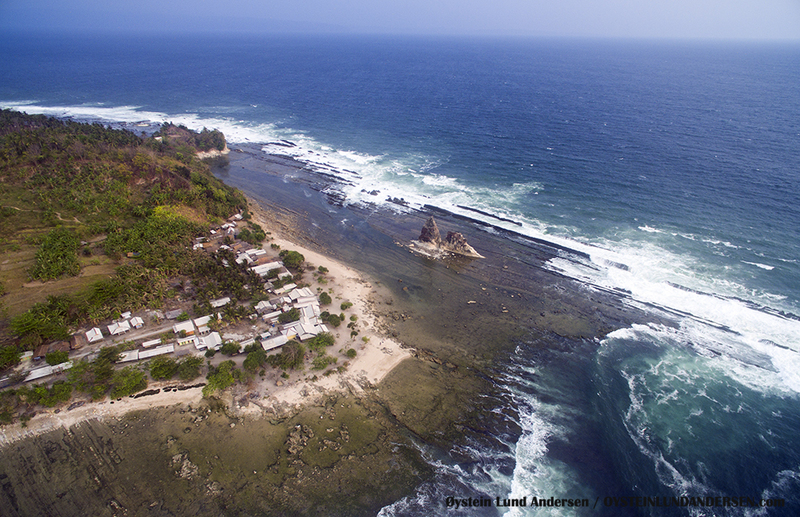 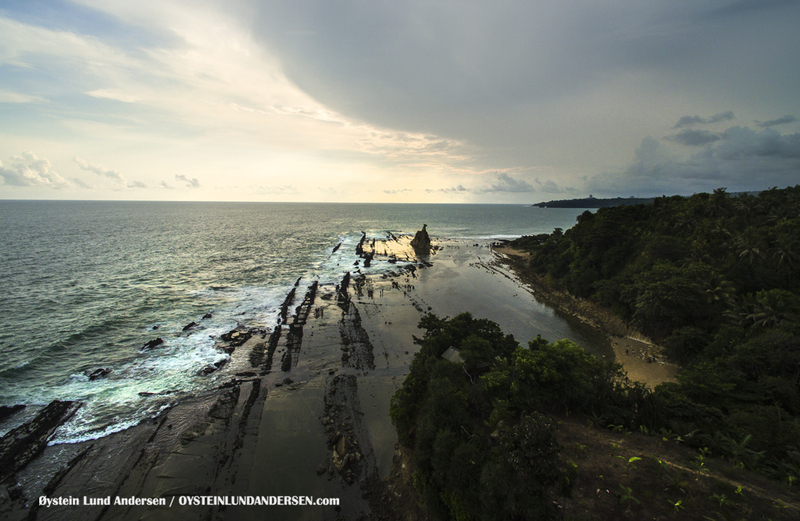 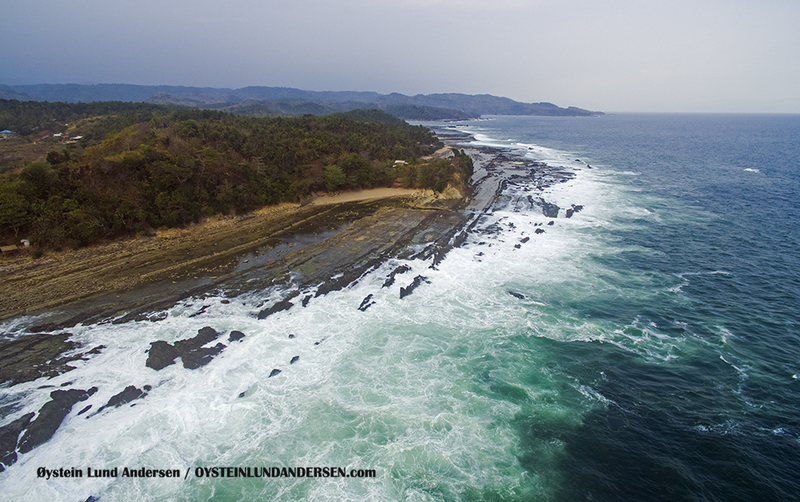 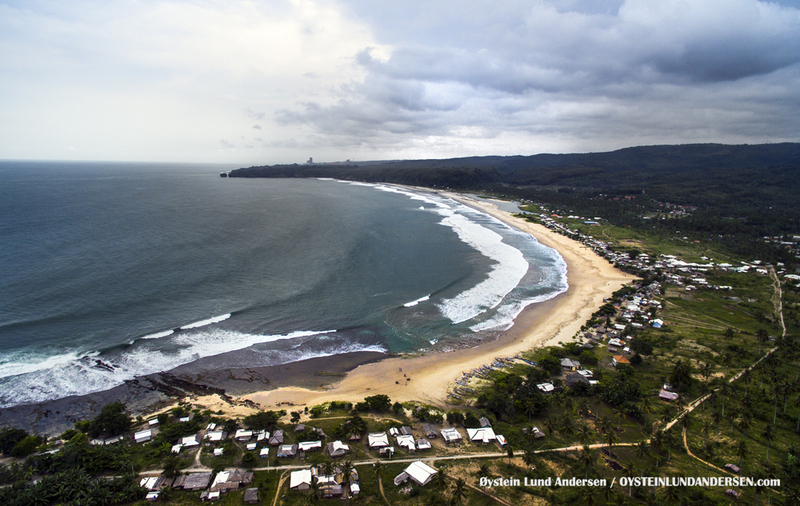 Sawarna seen from a UAV. 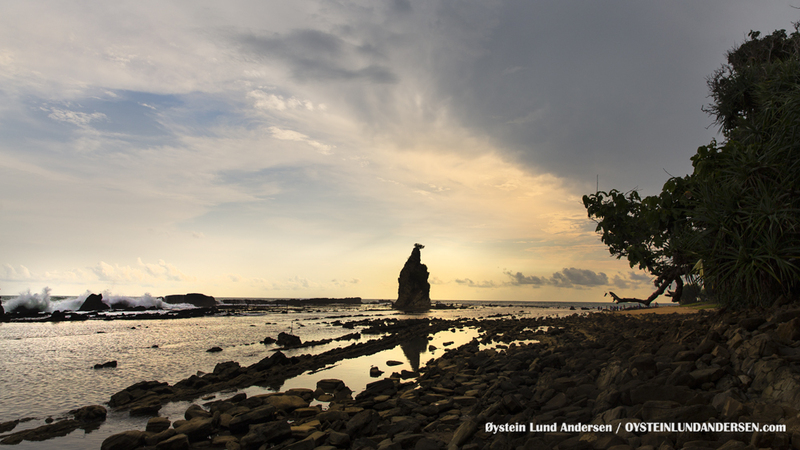 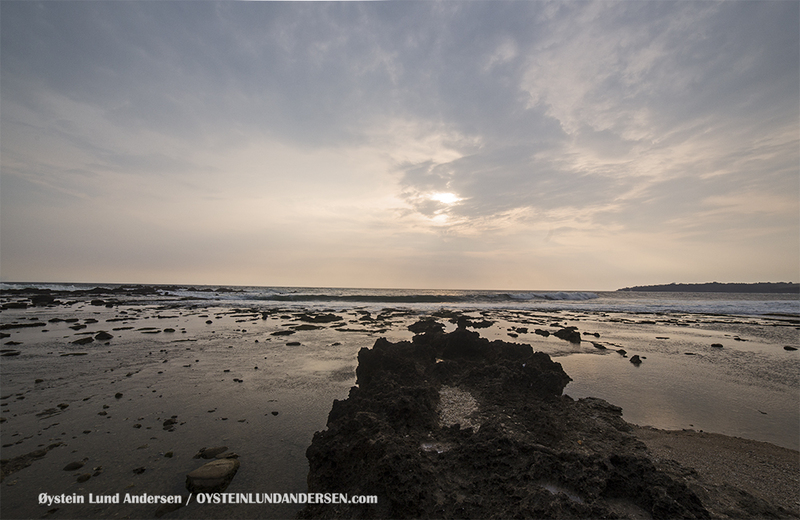 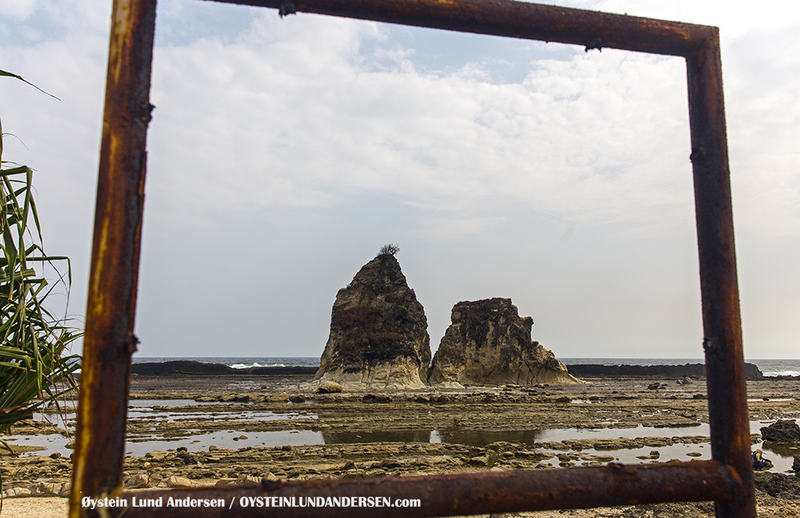 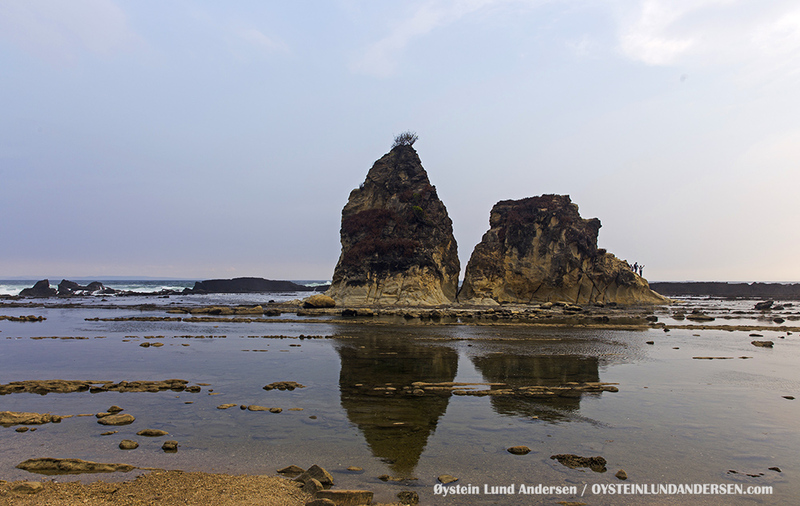 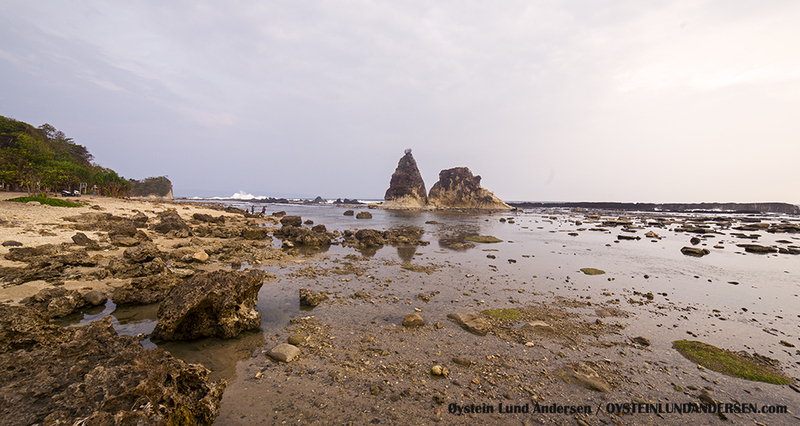 The Sawarna rocks are a distinct rock formation on of its southern shores. 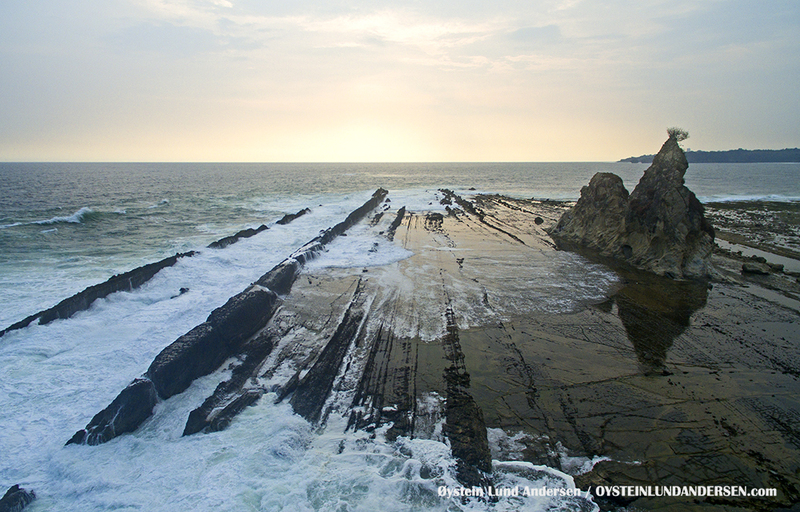 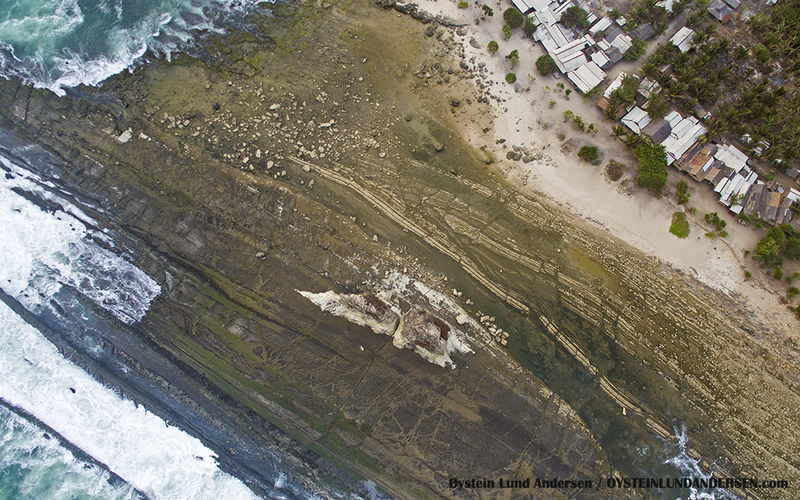 On the left side of the photo, bordering the sea, you see a few distinct rock layers. 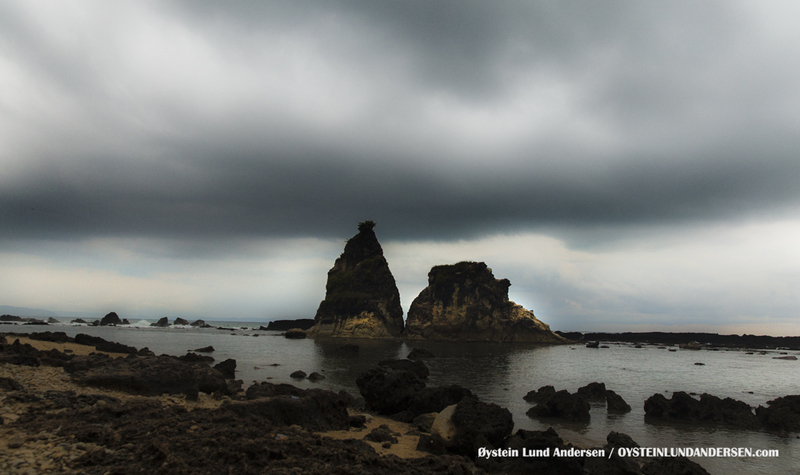 Maybe different kind of rock types made it possible for the sea to wear down the areas in the middle of these. 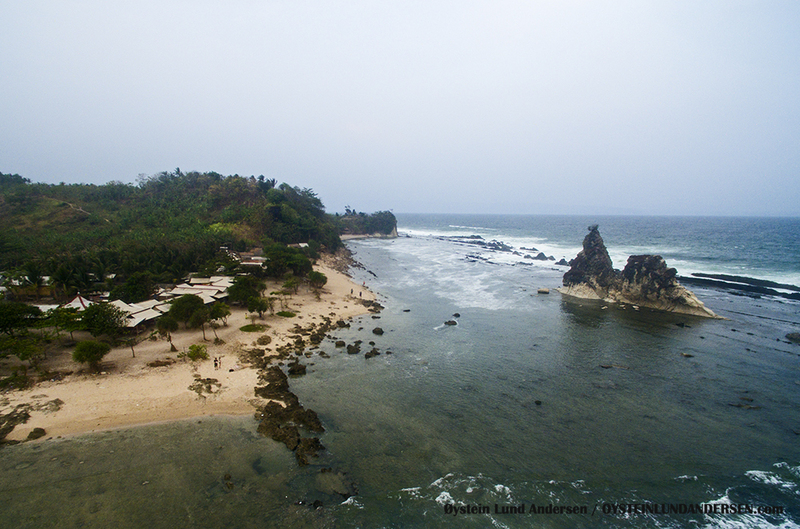 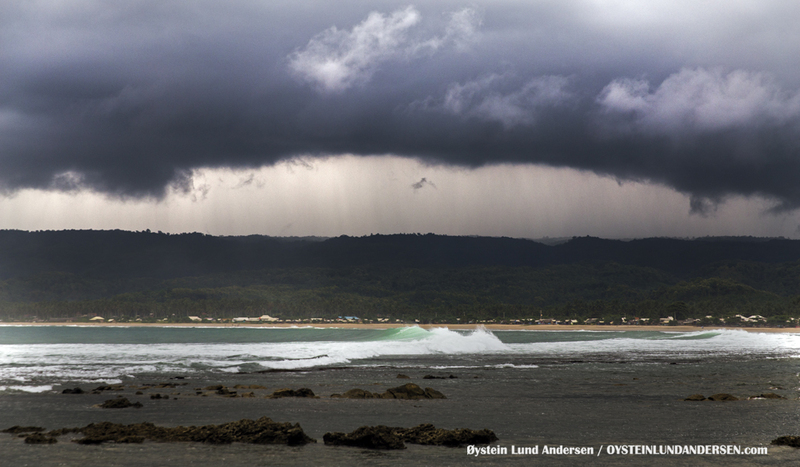 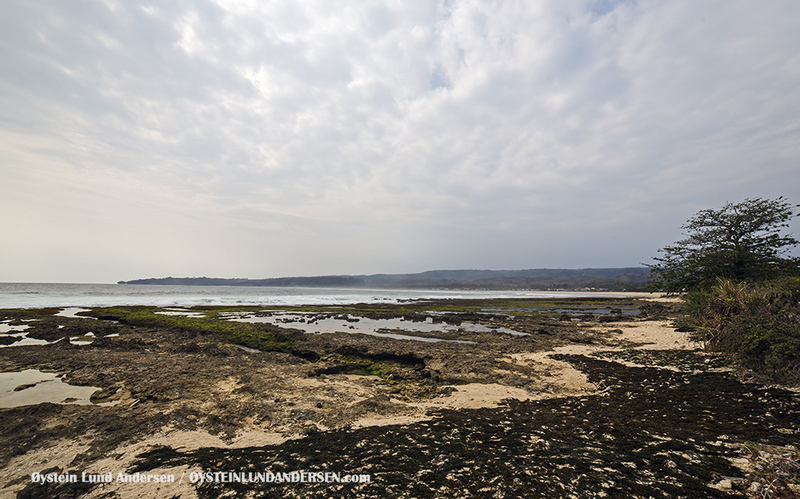 In the Indonesian language this beach is named Cape Sail, “Tanjung layar” . 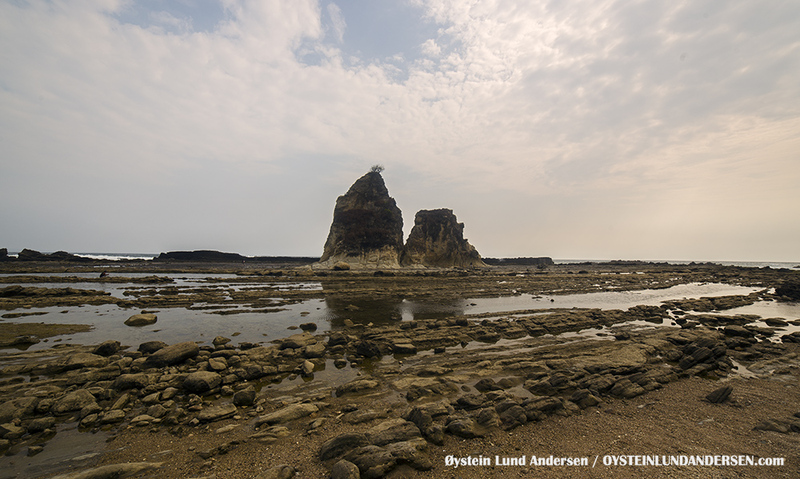 Because of the prominent rocks standing on the edge of the naturally uplifted sedimentary rocks.